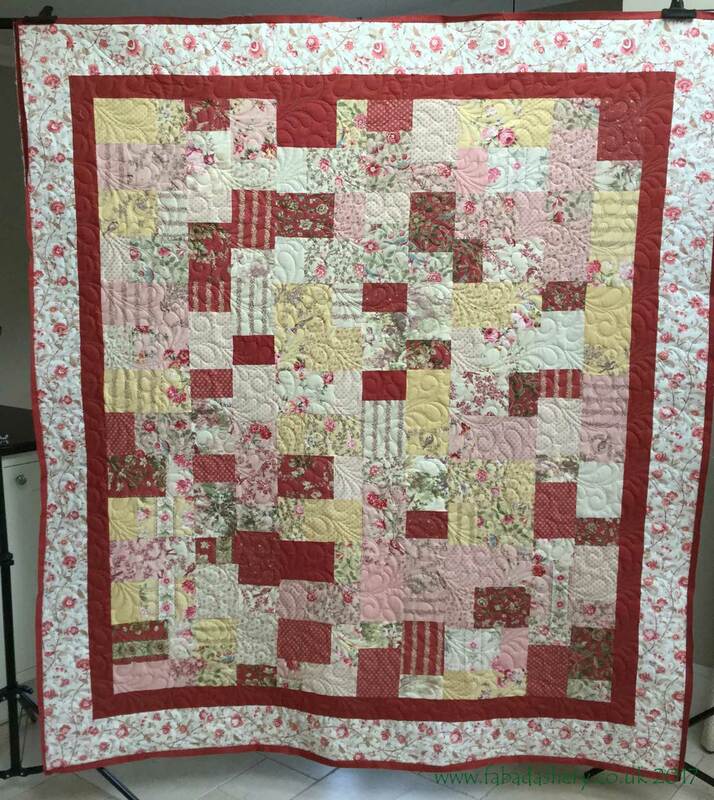 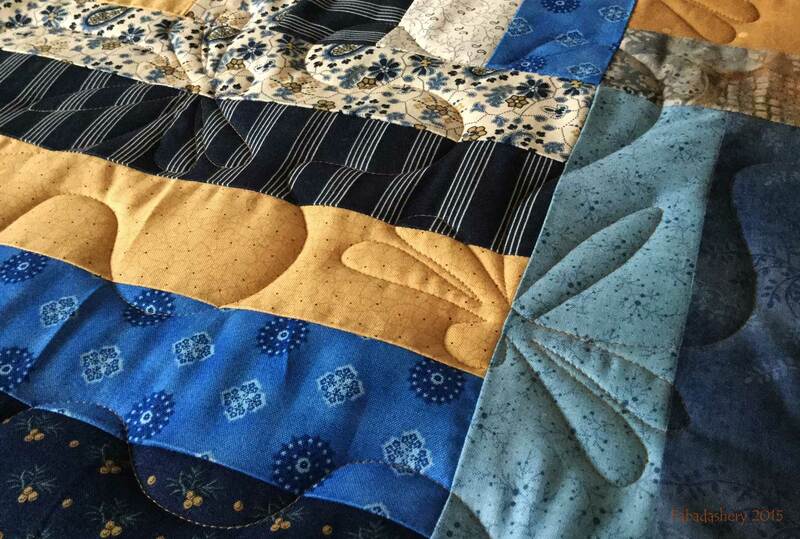 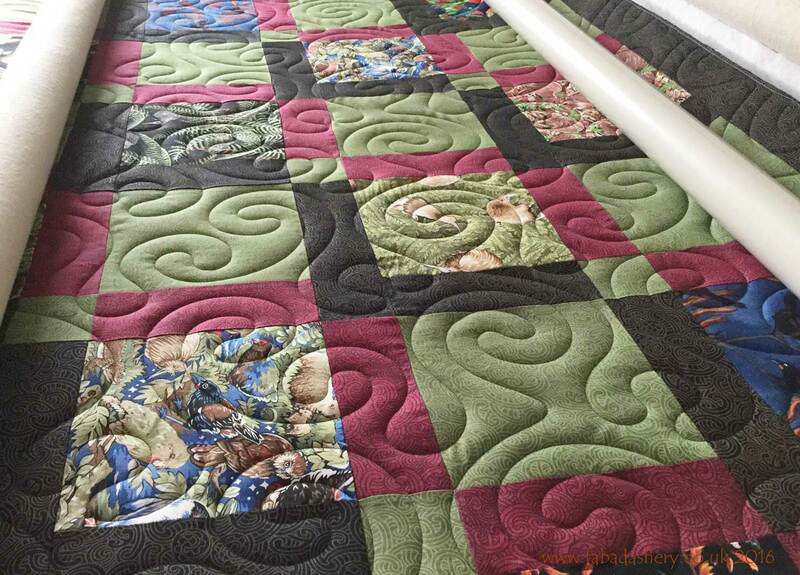 This lovely scrappy quilt is made by Loretta, one of my customers from Wiltshire. 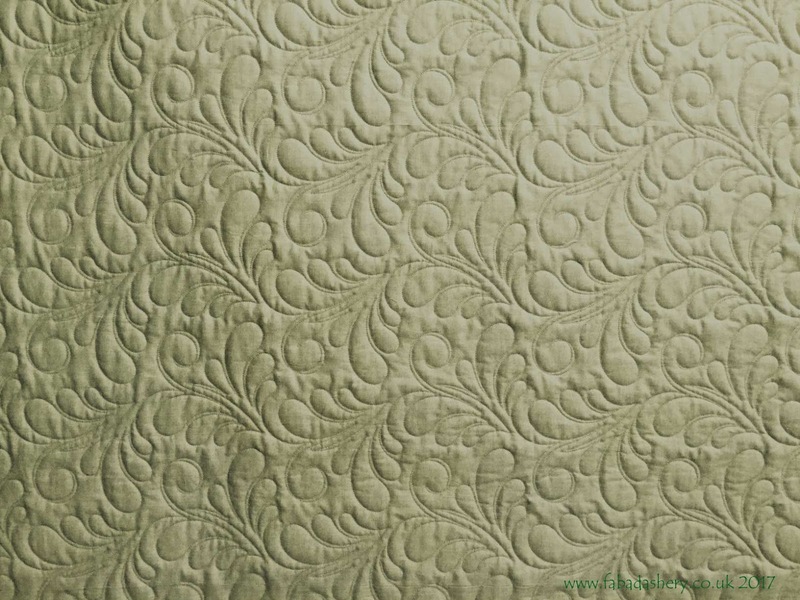 It is a Layer Cake pattern made from a French General fabric range, Pom Pom de Paris. 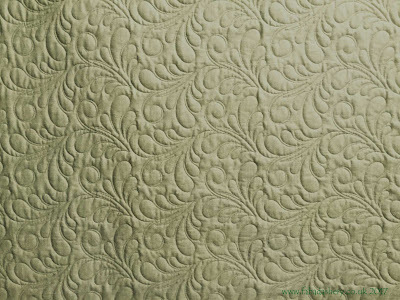 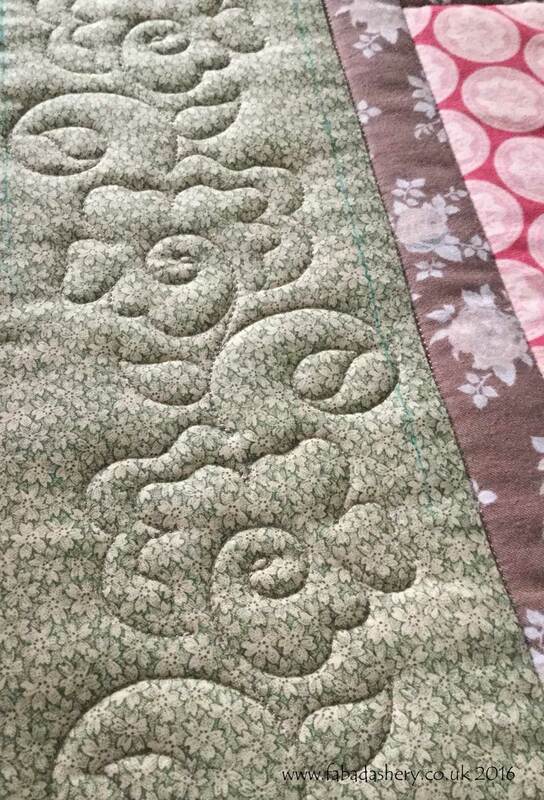 It may be scrappy on the front, but on the back Loretta chose a lovely soft green plain fabric, which showed off the elegant feathery quilt pattern, Allouette. 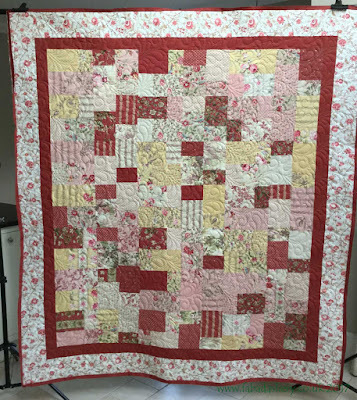 She choose the 'Allouette' pattern mainly because of its French sounding name to go with the Pom Pom de Paris fabric. 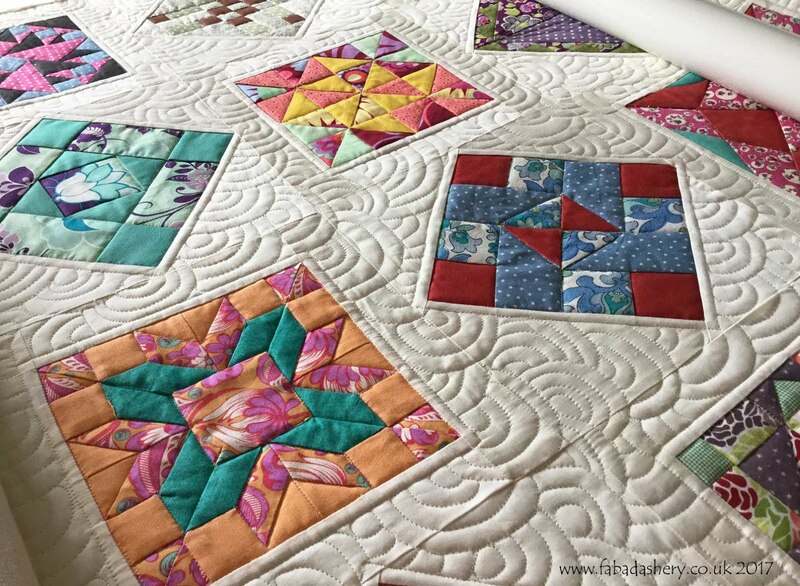 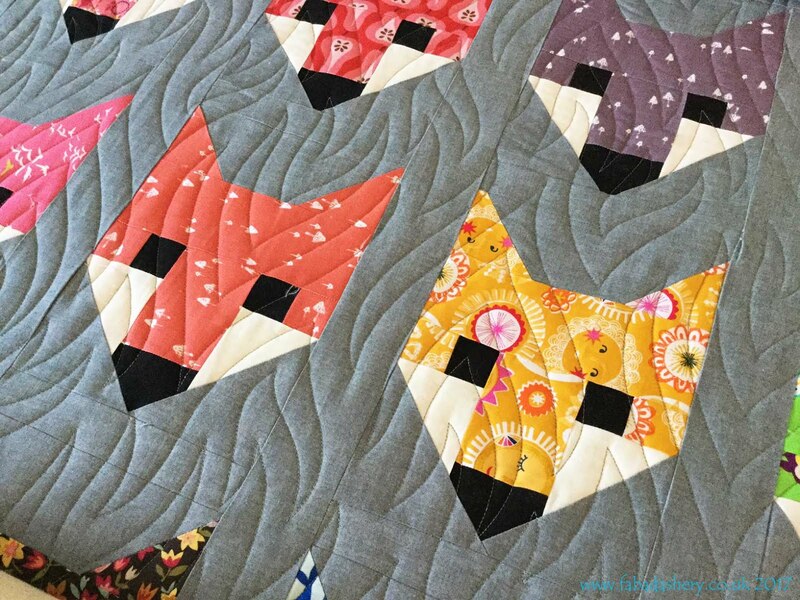 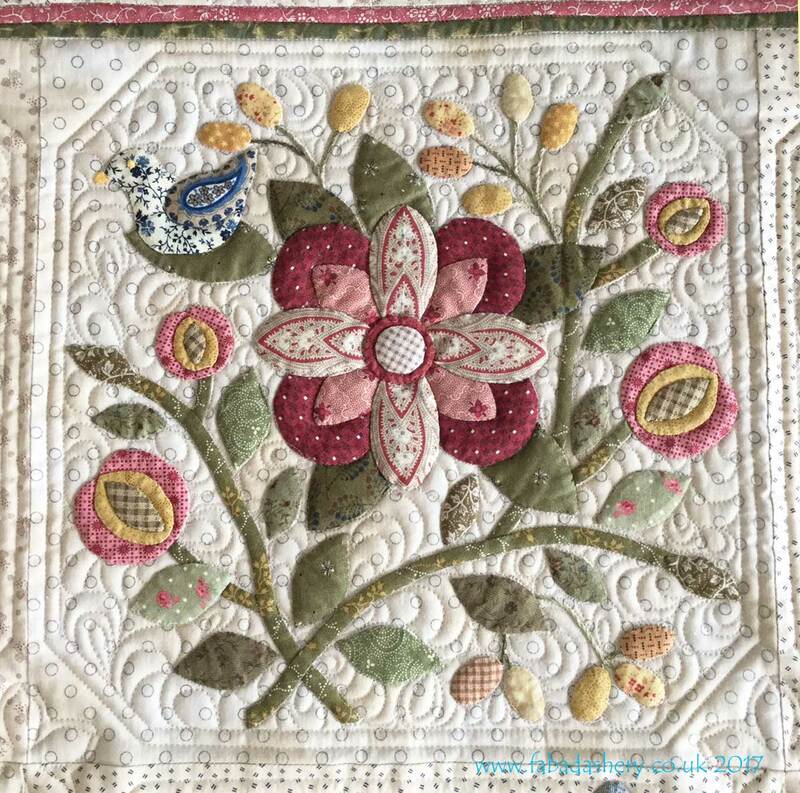 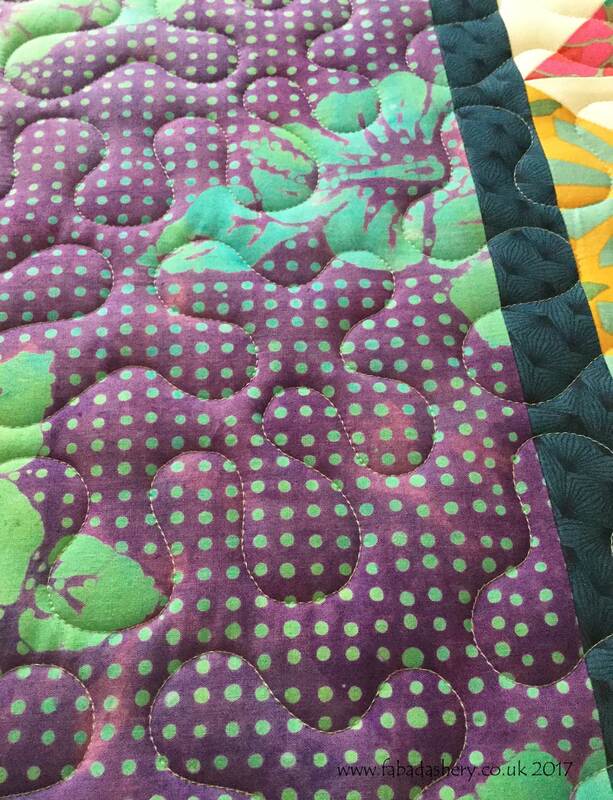 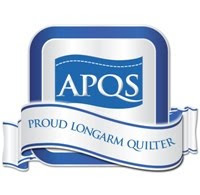 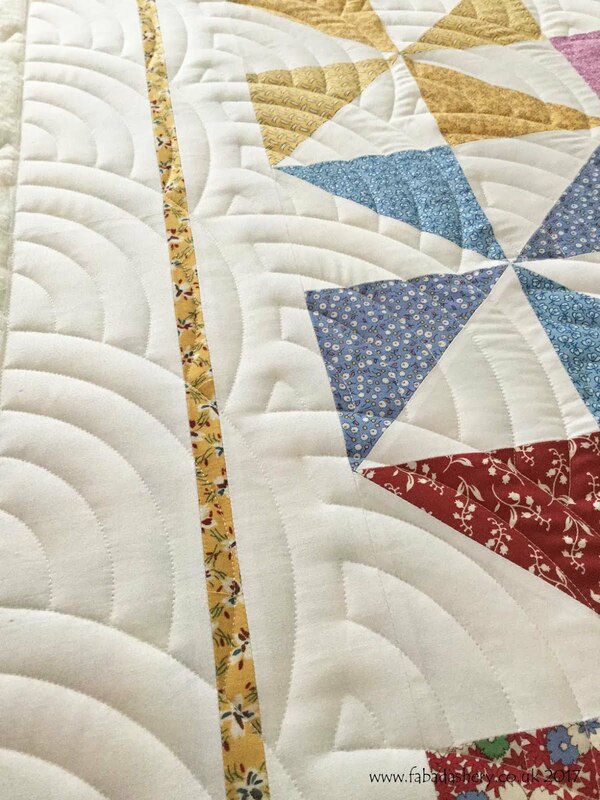 If you are thinking of getting your project quilted with an allover pattern, which is stitched digitally by a computer, a plain fabric for the back is a good choice, as the pattern will be stitched evenly.